There’s nothing quite like the sight of an F-22 Raptor pulling a tight turn and squeezing the moisture out of the air with vapor rolling off the wings. 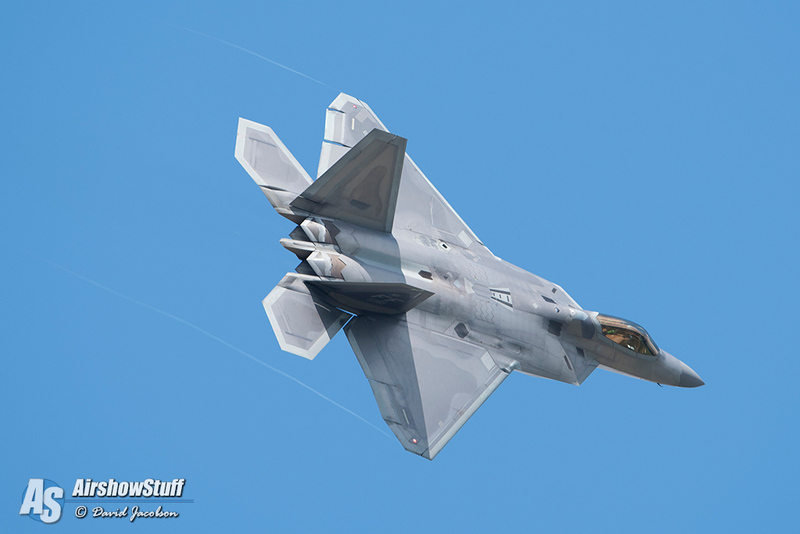 In this video, the AirshowStuff.com crew proudly brings you the arrival of two US Air Force F-22 Raptors to EAA AirVenture. There’s no doubt the F-22 is one of the world’s most advanced fighters in the air today, with thrust vectoring and stealth capabilities. Who can resist the powerful roar of the two Pratt and Whitney F119 engines as the Raptor flexes its muscles and thunders past? In this video, you’ll get to see these stars of the USAF perform multiple low approaches and flybys. 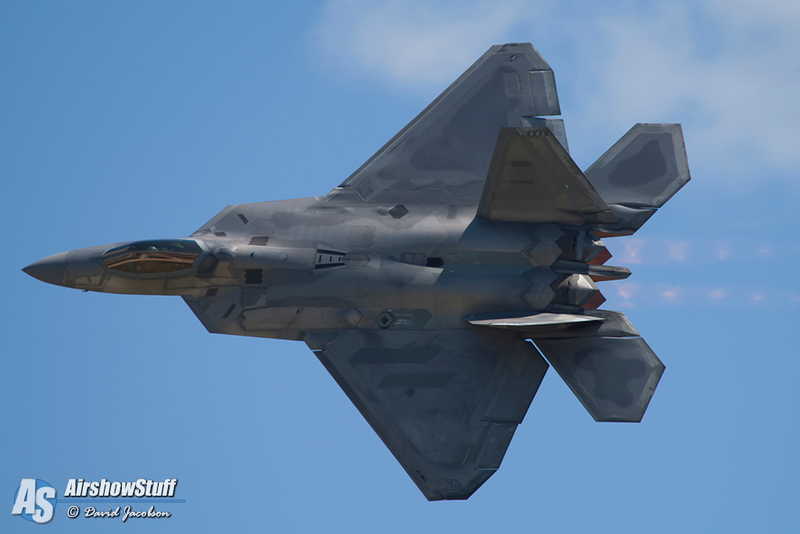 See the afterburners kick in and the heat from the engines as the Raptors bank away, not to mention that awesome vapor flowing over the wings and fuselage. We hope you enjoy viewing this video as much as we enjoyed making it for you. So put on some aviators, put it on full screen, turn up the volume, and revel in the awesomeness of these F-22 Raptors at AirVenture!